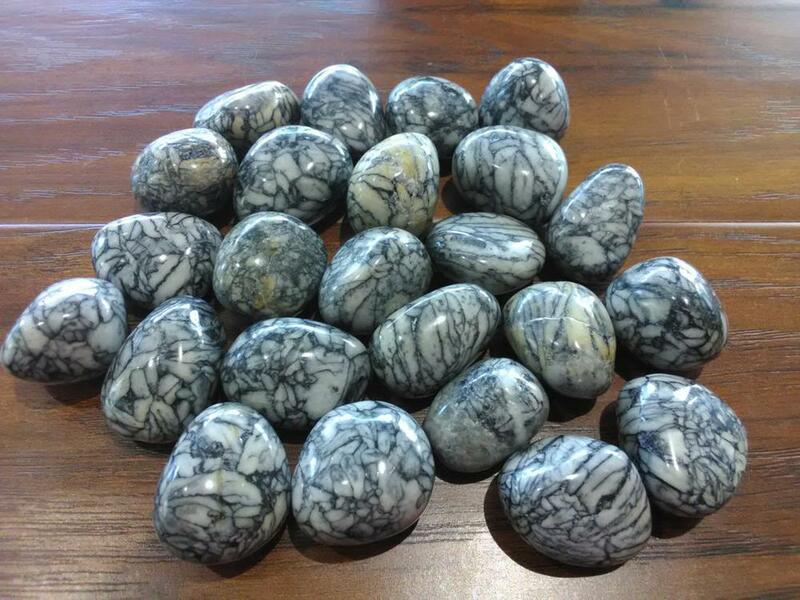 Pinolith crystals vibration is gentle, infusing a deep peace making it a great meditation stone. It is a stone that alleviates emotional tension, has a calming and grounding effect, channeling energy from the ground through the body to the crown. Pinolith promotes a deep love for self and others, while simultaneously grounding the mind, keeps you calm and strong in the midst of anxiety. It can offer psychic clarity of vision. Pinolith aids the relief of illnesses in the midsection of the body such as the stomach, intestines and female anatomy. Pinolith is associated with the Crown Chakra and activating it. Size Range: 1" - 1 1/4"